I love this shot, with the sunset light finally peeking under the clouds after a whole day of rain, and catching that perfect rainbow. 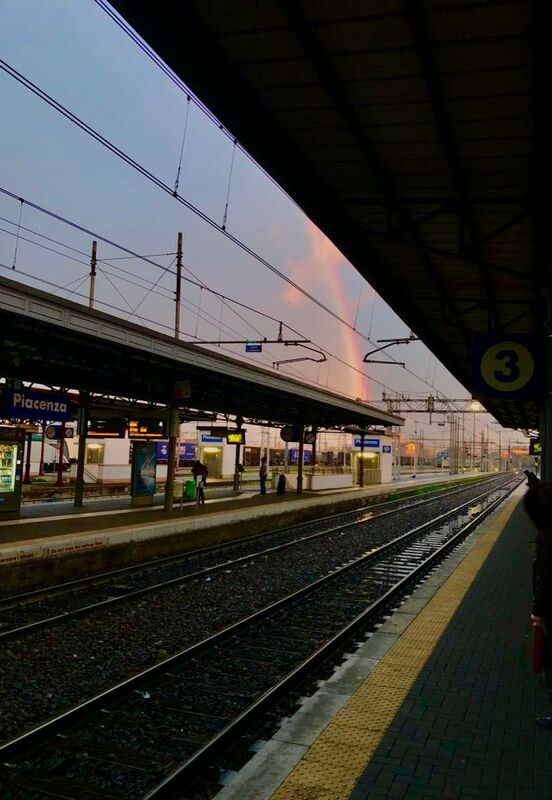 The fact that the train I was waiting for, and more importantly the person I was there to meet, were right at the end of that rainbow, just makes it that much better! © 2019 Find the thread. Occasional updates that didn't fit in 140 chars - or even 280.